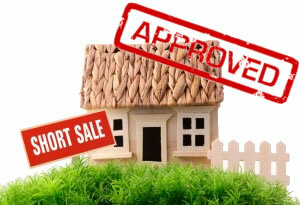 Why would a Seller want to do a Short Sale? A seller who can successfully complete a Short Sale will be better off than a party who lost their home to a foreclosure proceeding. In a foreclosure proceeding, the lender may come after the seller for a Deficiency Judgment; the amount owed less than the amount collected at the sale. The foreclosure will usually damage the sellers credit to a greater degree than a short sale. When a short sale is completed, the seller should insist upon a release from the balance owed. Congress had recently passed the Mortgage Forgiveness Relief Act which can help certain homeowners avoid being taxed on the discounted payoffs, provided it was on primary residence homes. Psychologically the seller is done with the hassle of a pending foreclosure action against the premises. If you have any questions, concerns or would like more information email, comment this post, or call (718) 377-7798 to speak with Michael Reinhardt. What is a Brooklyn Short Sale? In our current real estate market, the term “Short Sale” is among many conversations whether you are a home buyer, home seller, Investor, or Real Estate Broker. However, many individuals do not truly understand the term and what it means for those involved in a short sale transaction. A Short Sale, is the term commonly used when a home owner is selling a home for less money than the balance owed on their mortgage. Sometimes this is referred to as a “short payoff”. This type of sale is one where the lender allows the property securing a mortgage loan to be sold for less than the existing loan balance due to several factors such as the borrowers financial circumstances, the property’s physical condition, and the local real estate market conditions. If a homeowner purchased their home five years ago, and took out a $400,000.00 mortgage and their home which is only worth $350,000.00, they would need to consider a short sale if they had no additional funds to payoff the mortgage balance, and closing costs. In this example, the seller is considered to be “upside down”; the home is worth less than the outstanding mortgage balance. In some areas, as many as twenty-five (25%) percent of the homeowners owe more on their mortgages than the value of their homes. A recent report on the sale of existing homes indicated that almost forty (40%) percent (four out of ten) sales involved homes that were either short sales, or foreclosures. With all of the upside down sellers who want to sell, it seems evident that for now, short sales are going to play a major role in the real estate market. If you have any questions, concerns or just want more information on Brooklyn Short Sales email or call (718) 377-7798 to speak with Michael Reinhardt.